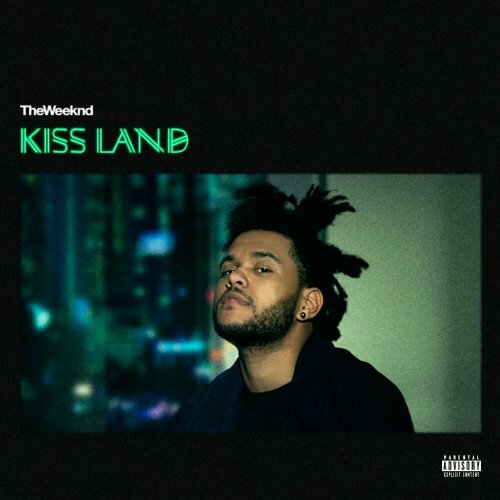 The highly anticipated new album: 'Kiss Land' -- from the mysterious and amazingly talented Canadian music artist 'The Weeknd' (his real name being: Abel Tesfaye) of which whom many are calling the "songbird of his generation" (e.g. MTV's John Norris) and the "best musical talent since Michael Jackson" is set to be 'Officially Released on the date: '10th of September' according to both a tweet from Abel himself as well as further confirmation from retailers (e.g. Amazon, iTunes) for pre-orders being available as well as being on his 'new' official web page. Kiss Land is what Abel claims to be his 'Official' debut album. Whereas the multi-award winning, 5 star reviewed 'Trilogy' is simply a 'mastered' version of his three incredibly well critically acclaimed mixtapes -- 'House of Balloons', 'Thursday' and 'Echoes of Silence' (along with additional songs: 'Twenty-eight', 'Valerie' and 'Till Dawn') which can all in truth be classed as "literally fantastic and moving" albums by their seldom. To describe a genre for his style of album would be certainly unique, but effort was made I would say a rather dark R&B Soul movement with a slow tempo being featured throughout. This is also the official 'Kiss Land' album cover -- as according to both his twitter and official website: 'theweeknd.com'. Moreover, just to touch on the 'Michael Jackson' quote above, there are many subtle hints of 'likeness' between the two artists, at least certainly in sound - perhaps not too much on themes (not least to say one of his songs from Trilogy 'D.D' is a cover of the 'Dirty Diana' records) -- I don't know, it could just be me though, let us know what you think below. It is obvious, through the release of 'Kiss Land' (single released below) that he is trying to branch out and take on a new movement from his Trilogy album (although with each of the three mix-tapes did have their own specific theme) at least to a greater extent -- as has his music career/success -- in the way he phrases it in a recent (and pretty rare, probably due to in part to his self-admitted shyness "and I will admit baby, I'm a little camera shy" as well as his keeping up the whole mysterious persona) "kiss and tell' interview with 'complexmusic.com' of 'Kiss Land [being] like a horror movie". Basically describing his experiences since his take to fame from his first unofficial album 'Trilogy' where the lyrics "I went from staring at the same four walls for twenty one years, to seeing the whole world in just twelve months" as heard below (second part of the song: 'John Carpenter') explain his somewhat 'confused' and 'scared' state on all the (rather negative) change that is happening around him. 'Belong to the World' being his second official release of the 'Kiss Land' album (as we presume) can be listened to below. I liken to how one YouTube commenter, Sarah Marti, phrased the how we could view the song: "She's everything and nothing. She belongs to everyone, she belongs to no one. They're the wolves and she's the moon." This song is recieving somewhat mixed reviews, where some are claiming all the 'big hype' has had a negative impact on his creation of songs -- and this is an example of it. For me, however I think it represents some of his best work, at least certainly to the same high standards set within Trilogy. A third song has also been released (a snippet, although the full track can also be found through his 'SoundCloud account') just as of early August 2013 -- which is proving to be hugely popular and trending well amongst his fans. Give it a listen and tell me what you think (would appreciate a rating out of 5). Are you excited for when Kiss Land comes out? I know I am!